Commercial Grade Water Coolers for Everyday Use! iBottleLess™ water cooler systems are constructed for heavy commercial use, but perfectly designed and priced for your everyday home or business needs. Each cooler is certified for 1,200 gallons, so you can expect your cooler to last 5-7 years when properly maintained in an office or home setting. Cold Water Thermostat- Adjustable settings designed for maximum efficiency. Not only are our coolers built to last, they also include everything you need to get set up quickly! 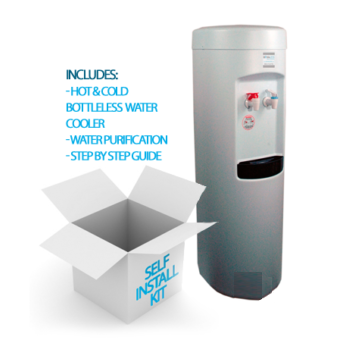 When you purchase your iBottleLess™ water cooler today, you’ll receive your first water purification system, installation kit, and step-by-step installation instructions. And don’t worry, if you have any questions about your iBottleLess™ cooler or filter, our trained technicians are just a phone call away at 888-416-8705. 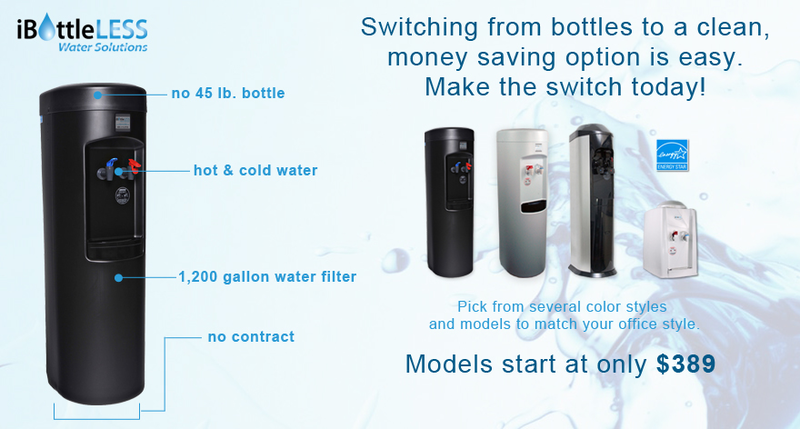 Make the switch to an iBottleLess™ water cooler today and you’ll make a healthy and money-saving change that will last for years to come.